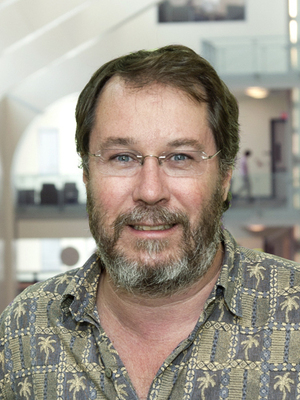 Prof. Beatty is a leader in experimental particle astrophysics, with a focus on detecting and characterizing galactic cosmic rays, including both nuclei and electrons/positrons, ultra-high energy cosmic rays (UHECRs), and UHE neutrinos. He has participated in pioneering efforts with the balloon-borne Antarctic Impulsive Transient Antenna (ANITA) to observe the first UHE neutrinos as these particles interact with the Antarctic ice shelf, producing a burst of radio waves. Prof. Beatty's group has also been active in the Pierre Auger Observatory, which has observed the highest energy cosmic rays ever recorded, and reported a first correlation between their arrival directions and the large-scale structure of the universe. Prof. Beatty's group has also recently built the timing charge detector for the balloon-borne Cosmic-Ray Energetics and Mass (CREAM) experiment, which measures the cosmic ray elemental spectra at energies just below the “knee” in the Galactic cosmic ray spectrum at ~1015 eV.